Free Delivery is not available on Oils. Free Delivery is available for Prepaid order (paid via Bank Transfer or Easy Paisa) only, not available for Cash On Delivery. Hence proven, moringa is miraculous and can work wonders to improve your overall health. Its consumption on a daily basis can provide your body all the necessary nutrients it wants to function. If it is consumed properly daily then issues like malnutrition can never be around your house. 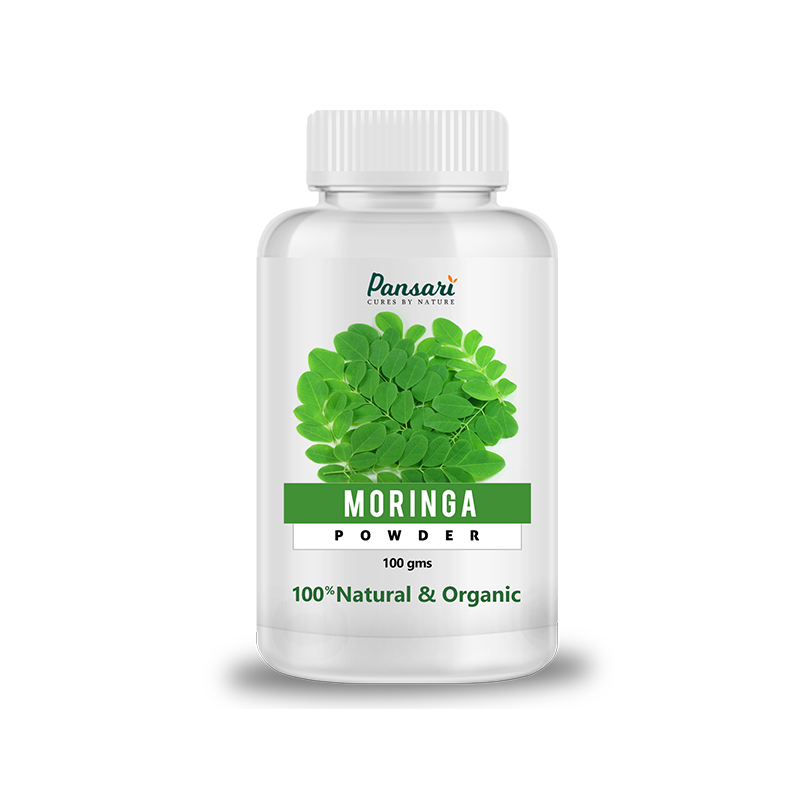 The best part about Pansari’s Moringa leaf powder is that it is 100% in its natural form and is therefore most suitable for absorption and the utilization by the human body. Moringa leaf powder can be added to just about anything you eat it gels in with the flavor very nicely. It has a spinachy flavor and is not going to disturb your taste buds at all. You can add it to breads, soups, porridge and pastas. You can toss your salads with it. It can be used in various types and forms. You can prepare a tea with it too. 1 tsp daily with a glass of water if being consumed as the powder itself, same quantity can be added to any meals for the daily consumption dosage. However, please make sure that you consult your health Physician before using moringa powder to boost your health. The information is for educational purposes only. This information has not been evaluated by the Food and Drug Administration. We offer 100% Refund or Replacement incase of any quality issues. 2019 Pansari, Pakistan's First Premium Herbal Store, All Right Reserved.